Back in 1982, Pezband, a power pop band formed in Oak Park, Illinois, headed out to The Record Plant in Los Angeles to record some tracks with producer Paul Broucek. Guitar player and bassist Tommy Gawenda and Mike Gorman had recently left the group, and the band reformed as a trio with original bassist John Pazdan in tow. (Gorman was hired to replace Pazdan after he left to play in another Chicago band, Off Broadway; when Pazdan returned to Pezband, Gorman went on to play bass in—you guessed it—Off Broadway. Hence, Pazdan sometimes refers to the groups as “Off Pezway.”) 34 years later, Women & Politics is finally seeing the light of day thanks to Frodis Records and Seattle-based archival label Light In The Attic, and The A.V. Club has an exclusive stream of the four-song EP. Then there’s “Fab Girlfriends,” which combines Mersey Beat bounce with chugging Who-style power chords, and “Russian Tanks,” probably the heaviest tune on the record thanks to soaring guitar licks and backup vocals from Tom Petersson of fellow Midwest power poppers Cheap Trick. “I told [singer] Mimi [Betinis] that if we got to put Petersson’s name on the sticker, it’ll be worth 100 records sold in Japan,” Pazdan jokes, referring to Cheap Trick’s lasting popularity in the East. 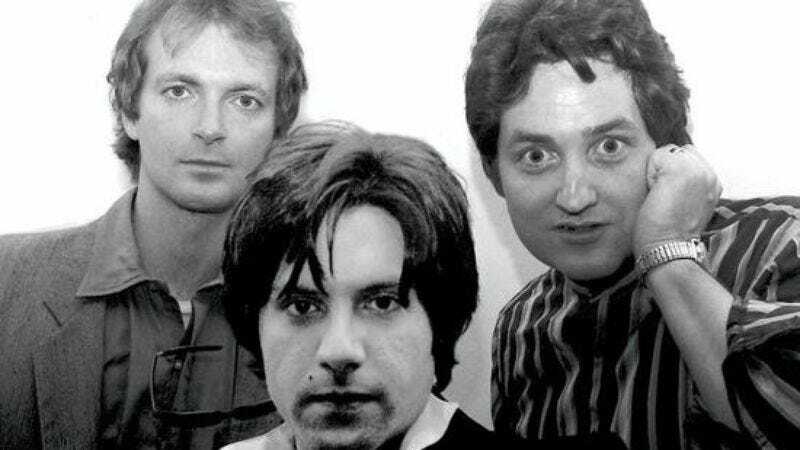 Pezband formed in 1971, part of a scene of musicians influenced by British Invasion acts of the ‘60s who played in rock clubs around the Chicago area. Most of these bands, like Cheap Trick, Shoes, Hounds, and Off Broadway, were labeled “power pop.” Pezband gained notoriety after an appearance on NBC’s Today where Jane Pauley said of the band, “this is the sound that everybody will be talking about.” Fame never quite came for the band, though, and after releasing three full lengths and two EP’s, Pezband dissolved in 1981 before reuniting in 2007. Women & Politics hits record store shelves on April 1 on glorious yellow vinyl.